Join the walk against canine cancer with PuppyUp and help fundraise for canine cancer research. There will be food, music, vendors, and fun for the whole family! To lean more visit PuppyUp Long Island Walk! Get ready for a Sunday brunch you and your pup can enjoy together at our LI-DOG Barkin’ Brunch at the Refuge! Relax on the beautiful outdoor patio at The Refuge while dining on delicious food and drinks, plus dog treats for our pup. For more info please visit LI-DOG Barkin’ Brunch! Find fun for the whole family at The Little Shelter’s 21st annual Pet-A-Palooza! 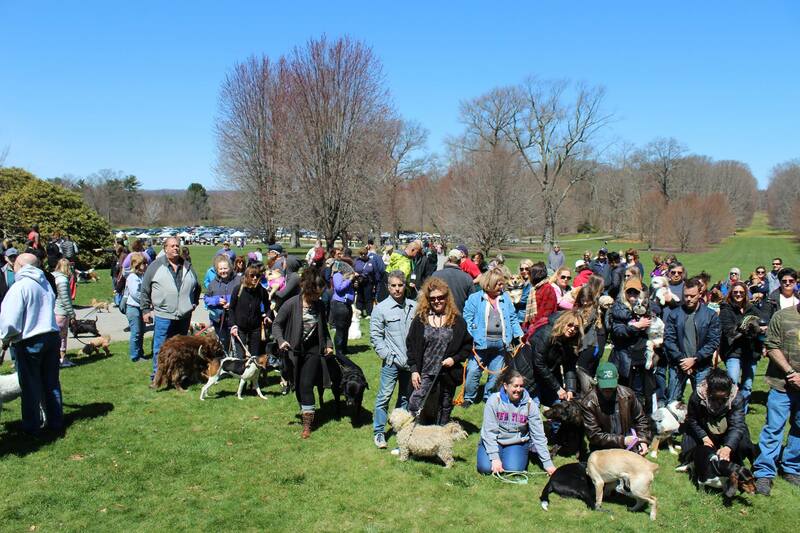 There will be live entertainment from WBLI, games for the kids and fur babies, a blessing of the animals, food, face painting and more, including hundreds of adorable animals available for adoption! For more information, check out Little Shelter’s Pet-A-Palooza! Find fun for the whole family at The Little Shelter’s 21st annual Pet-A-Palooza! There will be live entertainment from WBLI, games for the kids and fur babies, a blessing of the animals, food, face painting, and much more. Take a chance to win many exciting prizes at the Chinese auction. Little Shelter alumni and guests are invited to participate in many special events including the “Dogs on Parade” and The Doggie Swimsuit contests. You may even find a new furry family member among the hundreds of animals available for adoption! Admission is free, so leash up your pup and come join the fun! For more information, check out The Little Shelter on the web! Spend some time at the beach with Fido and the great folks of LI-DOG for some OFF-LEASH summer fun! Please join us at Mud Creek Off-Leash Beach in East Patchogue on Saturday, July 28th for a couple of hours letting our furry friends frolic in the sand and surf of the Great South Bay! To learn more visit LI-DOG Barkin Beach Cleanup and Doggie Meetup! Please join us at Mud Creek Off-Leash Beach in East Patchogue on Saturday, July 28th for a couple of hours letting our furry friends frolic in the sand and surf of the Great South Bay! There’ll be plenty of exercise to be had running along the coastline or in the water as Mud Creek is an off-leash dog beach. A clean-up of the Mud Creek Off-Leash Beach will start at 8:30 a.m., so if you and your fur baby would like a little extra time in the sun, please join us in getting the area ready for our meetup! Water will be provided for humans and dogs. Bring your own towel and beach chairs! PLEASE NOTE: Mud Creek is a natural borders dog park, which means it is not fenced on most sides. For everyone’s safety, please only bring dogs that are well-socialized—used to playing with other dogs off-leash—and that will reliably come when called. Please NO RETRACTABLE LEASHES. Mud Creek has no amenities and is considered “carry-in, carry-out” (i.e. no trash receptacles, no poop bag stations, no bathrooms and no water fountains). LI-DOG will have extra water and poop bags on hand, but please help us make the event a success by remembering to bring these items. Parking is on the street and there is a narrow path to the water by the sign for Mud Creek Park. PLEASE NOTE: In May, a chain-link fence was installed to create a “dog-exclusion” zone. To access the beach, please use the narrow path to the water by the sign for Mud Creek Park and walk dogs ON-LEASH through the area. Please be respectful and keep OFF-LEASH dogs out of this area. Avoid using the double-gated entrance. It is still under construction and it leads to a large expanse of sand where broken glass has often been found. RAIN DATE: Sunday July 29th at 10AM. In the event of inclement weather, please check Meetup or our Facebook group as we will post any weather-related changes by 9 AM that morning.